Glen Oaks Community College is asking the community’s help in seeking individuals for three awards that are presented annually during the college’s graduation ceremony, which will be held on Friday, May 3. They are the Distinguished Alumni Award, the Fellows Award and the E. J. Shaheen Teaching Excellence Award. The Distinguished Alumni Award is given each year to a Glen Oaks alum who has demonstrated achievement in his or her career field, service to the community or outstanding contribution to the college. The Fellows Award is given to an individual or institution who has provided outstanding support of the college as evidenced by long-term dedication and commitment to the college, extensive community level support for the college and/or direct and continuing support of the college and students. Former and retired employees may also be considered for this award. The E. J. Shaheen Teaching Excellence Award is presented annually to an outstanding faculty member. The nominee should exemplify high professional standards, excellence in teaching and whose position as a faculty member reflects upon the value of education to his or her students and the quality of education. The appointment includes a monetary award. More specific details and requirements for the awards, as well as the nomination forms, can be found at: www.glenoaks.edu/about-us/awards/. The information is also available at the Glen Oaks Information Desk. 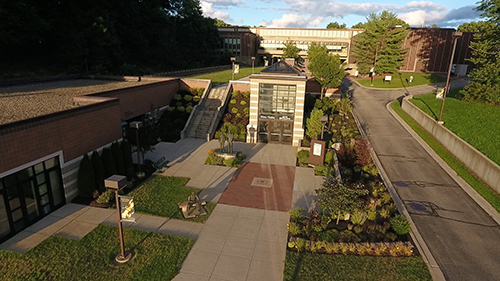 Students, staff, former students and community members are encouraged to submit nominations to reach the President’s Office at Glen Oaks by 4 p.m., Mon., March 25, 2019.